Taylor brings to bear her extensive experience of audit and research into the value and effectiveness of healthcare services to consider how digital stories can contribute to the evidence that informs policy and practice. 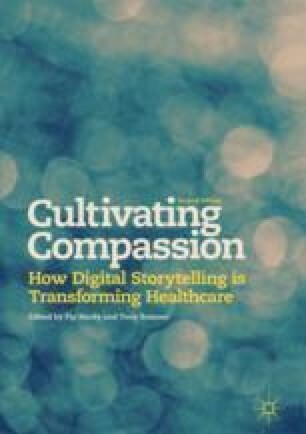 Situating digital stories alongside statistics in three clinical areas (stroke care, neonatal care and end of life care) provided crucial insights into the experiences of patients and carers, while the technological revolution and the patient engagement movement add impetus to the digital expression of health and illness. Highlighting the timeless qualities of Patient Voices digital stories, Taylor argues that commissioning and using the stories is an effective use of resources as part of the ‘evidence’ evolution that is harnessing technology to shift the balance of power and put patients back at the centre of the health service. This chapter is based on a conversation between Karen Taylor and Pip Hardy.